Perhaps, dear reader, you have heard of Freedom, the app that blocks the Internet so you can focus on your writing (or whatever offline task). It is not cheap; prices have gone up more than a smidge (ayyyy!) since I purchased it some years ago for a mere USD 10. Nope, I don't use it. End of review. Of course, a more economical alternative for those who work at home would be to simply switch off the wi-fi signal. But never mind, there you are, glued to your computer, same screen, same keyboard, same desk, same chair, and whether you're using the Freedom app or you've turned off the wi-fi signal, either can be reversed (that is, the Freedom app turned off, or the wi-fi switched back on) in a matter of the slight inconvenience of a moment. Staying off-line when you're working on a computer is akin to trying to diet with an open box of chocolates within reach! As they say, Don't think about the pink elephant. Or, elephant-shaped chocolates with a cherry in the middle! Or, for a more au courant Internetesque analogy, Don't think about cats! And certainly not cats wearing hats! Yet another strategy for diminishing the pull of the Internet, at least for some writers some of the time, would be to get up from the computer, aka the distraction machine, and hie thee over to ye olde typewriter. My typewriter went to Goodwill years ago. But now, with a book to complete, I am seriously considering going back to using a typewriter. I am old enough to remember typing up my papers for school and college, that satisfying clackety-clack and the little ding at the end of the right margin... The calm. The focus. Speaking of analogerie, I am also, as those of you who follow this blog well know, massively, as in an-entire-parade-ground-filled-with-dancing-pink-elephants-and-cats-in-hats-all- under-a-rain-of-chocolates, massively, relieved to have deactivated my Facebook account. That was back in August of 2015. 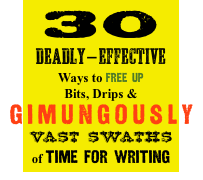 Yes indeed, having eliminated that particular bungee-pull to the Internet, I have gotten a lot more writing done, and I am answering my email in a more consistently timely manner. A superb reference written by a professor of philosophy. Why nonelectric? It might be nice to type in the tipi! 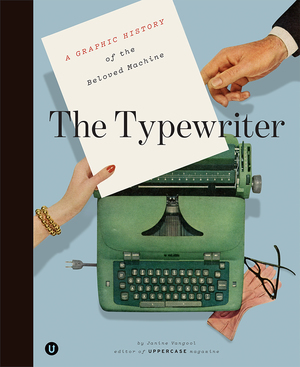 But also, it seems that some of the best workhorse typewriters are nonelectrics made back in the mid-20th century. 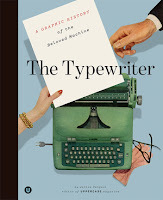 The only nonelectric typewriters currently being manufactured are from China and although cheap, they're crap, so if a nonelectric typewriter is what you want, think vintage. 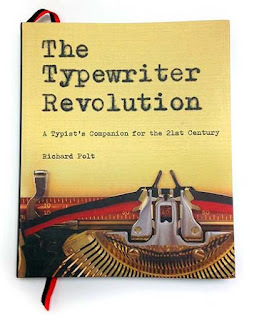 For a rundown on vintage brands and models, both nonelectric and electric, Polt's The Typewriter Revolution is an excellent resource. On his website Polt also maintains a list of typewriter repair shops. 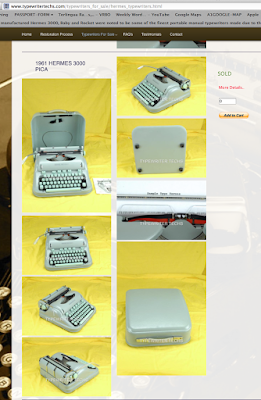 But it seems to me that, if you want to start typing ASAP on a good vintage machine, the best strategy would be to shell out the clams to a dealer who specializes in refurbishing or "reconditioning" quality typewriters, and who offers his or her customers a guarantee. I should think you would also want to confirm that it will be possible to source ribbons. An Etsy shop for antique typewriters. Based in Los Altos CA. > Check out the trailer for the book-- an outstanding book trailer, by the way. > Your comments and suggestions are always welcome. Write to me here. This list is unlikely to coincide with most English language writers' and readers' ideas of what might be most appropriate. Nope, no Graham Greene. No D.H. Lawrence, no Malcolm Lowry, nor John Steinbeck. Most of the usual suspects have gone missing from my list. I packed the bunch of them off, as it were, to Puerto Vallarta for margaritas (a drink invented by a Texan, by the way) and a purgatory of reading juicy crime-novels. About crime novels, I am not your go-to gal. For those of you new to this blog, let me introduce myself. 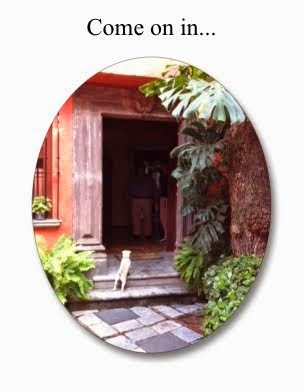 I am a US citizen who has been living in Mexico City on and off for over three decades, and not in an expat community, but as a part of a Mexican family. 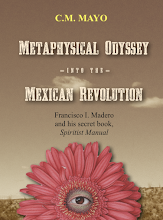 Over these many years I have written several books about Mexico, most recently, the novel based on the true story of Mexico's Second Empire, The Last Prince of the Mexican Empire, and Metaphysical Odyssey into the Mexican Revolution: Francisco I. Madero and His Secret Book, Spiritist Manual. 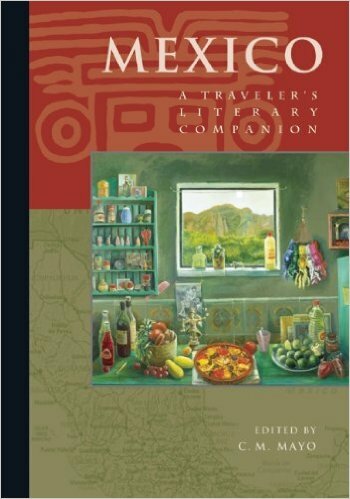 I have also translated a long list of Mexican writers and poets, and am the editor of an anthology, Mexico: A Traveler's Literary Companion, which is not a guidebook but a selection of 24 Mexican writers on Mexico, many in translation for the first time. All of which is say that although I have not read each and every last thing ever published on Mexico (a feat for a bot!) 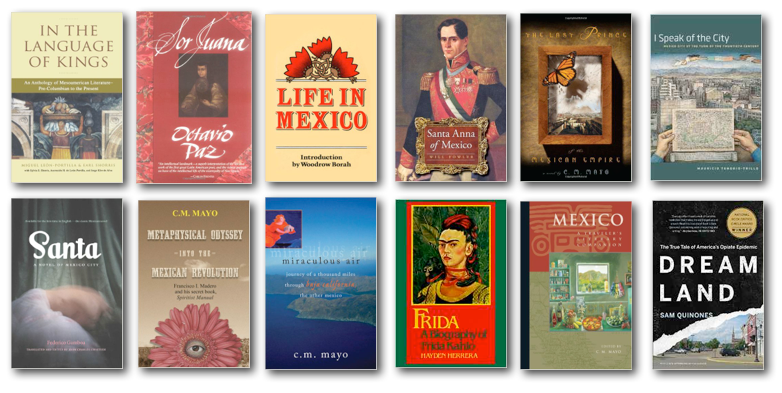 I am very familiar with both the Spanish and the English language literature on Mexico, fiction and nonfiction. TWO CHALLENGES: SAD! VERY SAD! But to make a list of recommendations for an English-language book club there are challenges. 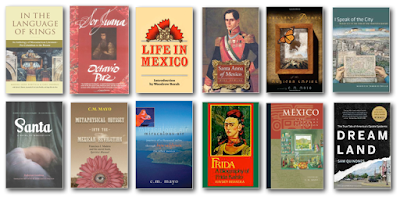 First, a number of Mexican works have been translated into English, but this amounts to only a tiny percentage of what has been published in Mexico over the centuries. To quote DJT completely out of context, "Sad!" Second, also sadly, many of the best-known and easily available originally-in-English works on Mexico strike me as superb examples of a south-of-the-border species of what Edward W. Said termed "orientalism." Translation: toe-curling. Steinbeck's The Log from the Sea of Cortez, to take but one example, while a deserved classic for its lyric beauty (count me a fan), will tell you little about Mexico, never mind the Baja California peninsula that stretches for nearly a thousand miles along the Sea of Cortez; much of what Steinbeck says about it is either flat wrong or rendered through a filter of commonplace prejudice and presumption. 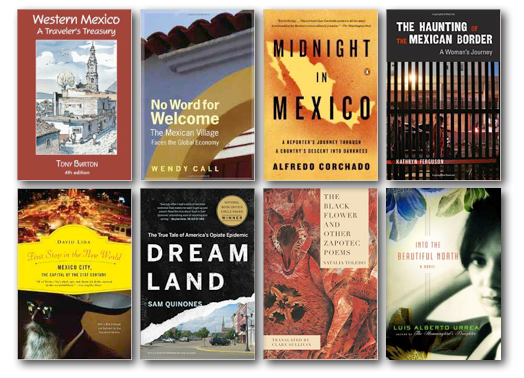 Much of the best of contemporary English language literature on Mexico covers the border, mainly focusing on illegal immigration, drug trafficking, and violence. There are several excellent works under that voluminous tent, but I'd like to get to those last. I submit that for a deeper sense of Mexico, one has to dig past the sorts of stories one can easily encounter in the mainstream news, television, and cinema, to go both deeper into the country and deeper into its past. For a deeper sense of Mexico, one has to dig past the sorts of stories one can easily encounter in the mainstream news, television, and cinema, to go both deeper into the country and deeper into its past. Nope, that sad little shelf in the back room of your local big box bookstore is not the place to look. 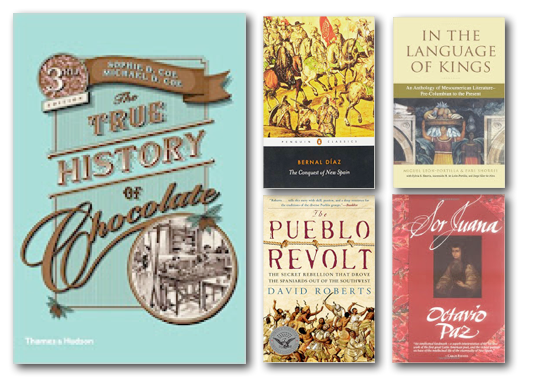 Unfortunately, and head-scratchingly—for the United States shares a nearly 2,000 mile border with Mexico, and all the cultural, economic, ecological, historical, and political intertwinings that would suggest— the selection of such works in English, enticing a "box of chocolates" as it may be, is limited. Moreover, whether because of their scarcity, high prices, length, and/or academic prose-style replete with reams of footnotes, few English language works on Mexico lend themselves to a felicitous selection for a book club. Historian John Tutino's Making a New World, for example, is a scholarly doorstopper of a tome, so I wouldn't recommend it for a book club; however, I do believe it is one of the most important books yet published about Mexico. Read my review of Tutino's Making a New World here and listen in anytime to my extra crunchy podcast interview with Tutino here. Seriously, if you want to start getting an idea of Mexico beyond the clichés, stop reading this right now and listen to what Tutino has to say. Also, I would recommend the magnificent The Mexican Treasury: The Writings of Dr. Francisco Hernández, edited by Simon Varey, but (sigh), Stanford University Press has priced it at USD 72 a copy. You might ask your university or local public library to order a copy, if they do not already have one. Another wonder not on my list for book clubs— but do have a look at the digital edition free online— is Franciscan missionary Bernardino de Sahagún's Historia general de las cosas de Nueva España, or General History of the Things of New Spain. The original 16th century manuscript, which contains 2,468 colorful illustrations and text in both Spanish and Nahuatl (the language spoken by the Aztecs phonetically transcribed using Latin), is also known as the Florentine Codex because it is in the Medicea Laurencziana Library in Florence, Italy. My list, therefore, focuses on works in a variety of genres, from biography to history to poetry, that are not only illuminating but could be enjoyable reading for avid and thoughtful readers, and lend themselves to a spirited book club discussion. And, crucially for most book clubs, these are titles currently available at more-or-less-reasonable prices from major online booksellers and/or, as in the few instances when a work has lapsed into the public domain, as free downloads from www.archive.org. Toss a tomato if you like, but I also recommend my own works, else I would not have troubled to write them. > For those looking for more complete and scholarly lists of recommended reading on Mexico, as well as several more fine anthologies, click here. A scrumptuously sweeping history of Mexico's most delicious bean by a noted food historian and anthropologist. This one should be an especially popular pick for any book club. One of the greatest books every written about one of the greatest adventures of all time. And that is no exaggeration. León-Portilla is one of Mexico's leading historians and intellectuals and this collection, the first to offer a comprehensive overview of this literature, is magnificent. Translated by the exceptional Margaret Sayers Peden. Catalog copy: "Mexico's leading poet, essayist, and cultural critic writes of a Mexican poet of another time and another world, the world of seventeenth-century New Spain. His subject is Sor Juana Inés de la Cruz, the most striking figure in all of Spanish-American colonial literature and one of the great poets of her age." UPDATE: See my blog post of March 20, 2017, "What the Muse Sent Me About the Tenth Muse, Sor Juana Inés de la Cruz"
The Pueblo Revolt of 1680 took place in what was then the Kingdom of New Mexico and is now within the United States; nevertheless, this is an crucial episode for understanding the history of the North American continent, including, of course, Mexico. This delightfully vivid memoir of 1842 by the Scottish-born wife of Spain's first ambassador to Mexico should go at the top of the list for any Mexicophile. A new and revisionist history of that tremendous and mercurial personality who dominated the first half of 19th century Mexico, the "Napoleon of the West." A mite heavy-going for a book club, but essential for understanding the historical relationship between the U.S. and Mexico and the US-Mexican War. > Read my review of this book. > For a less rigorous but more entertaining and elegantly-written work on the Comanches, see S.C. Gwynne's Empire of the Summer Moon. In this shining contribution to the literature on Abraham Lincoln and that of the US-Mexican War, Michael Hogan illuminates the stance of a young politician against that terrible war, telling a story that is both urgently necessary and well more than a century overdue. Now considered a classic of mid-19th century Americana, as a work of literature, this book has its limits and faults, for it was written as a private diary by a Missouri trader's bride who was only 19 years old. I warmly recommend it for US book clubs because it is easy to find an inexpensive copy, and if it has faults, it also has many charms; and moreover, it provides an unforgettable glimpse of historical context for US-Mexico trade. Y'all, US-Mexico trade did not start with NAFTA. > See my blog post of notes about this book. A novel based on extensive archival research into the strange but true story of the half-American grandson of Agustin de Iturbide, Agustin de Iturbide y Green, in the court of Maximilian von Habsburg. A Library Journal Best Book of 2009. A nonfiction novela about a fairytale: a visit to the Emperor of Mexico's Italian castle. An award-winning long-form essay now available in Kindle. A deeply researched book about a period of Mexican history that, while vital for understanding modern Mexico and its relations with the United States and Europe, is of perhaps unparalleled cultural, political, and military complexity for such a short period. > Listen in anytime to my extra-extra crunchy conversation with M.M.McAllen about her splendid book, the first new major narrative history of this period in English in nearly forty years. 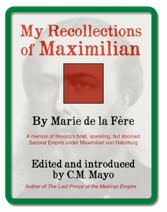 > Click here for many more recommended titles on the Second Mexican Empire / French Intervention of the 1860s. This is the first and classic Mexican novel of the Revolution, translated by Sergio Waisman and with a foreword by Carlos Fuentes. The original title in Spanish is Los de abajo. Not everyone's slug of mescal, but a century on, it remains a cult fave, especially around the border. This family history of Scotsman John George McNab and Oaxacan Guadalupe Fuentes Nivon McNab not only gives an overview of the transformation of the Mexican economy in the late 19th and early 20th centuries, but some of Mexico's ethnic, social, and regional diversity, both of which are far greater than U.S. media and Mexican tourist industry narratives would suggest. The charming novel that was made into a major motion picture. Knocks the huaraches off most people's understanding of the 1910 Revolution, and its leader, Francisco I. Madero, who was elected President of Mexico in 1911 and served until his assassination in the coup d'etat of 1913. Someone described Metaphysical Odyssey as The Underdogs turned upside down, inside out, and with a cherry orchard on top. Anyway, Metaphysical Odyssey into the Mexican Revolution is nonfiction and it includes the first and complete translation of Madero's Spiritist Manual of 1911. 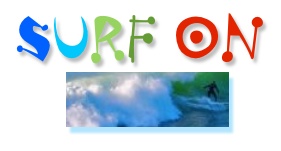 > Visit this book's website for excerpts, reviews, interviews, podcasts, and more. Edited by Michael K. Schuessler with a foreword by Mexican writer Elena Poniatowska, who knew Alma Reed back in the 1960s. Reed was a journalist from San Francisco who came to Yucatan on assignment and ended up engaged to marry the governor, Felipe Carrillo Puerto. Just before the wedding Carrillo Puerto was assassinated. > Listen in to my podcast interview with Michael K. Schuessler. A leading scholar of Mexico takes on Mexico City from 1880 to 1940 in this beautifully written work. If you have ever visited or ever plan to visit Mexico City, this rich-as-a-truffle read is a must. Although it seems he may have been born in Germany, one must count the mysterious B. Traven, who escaped a death sentence in Germany in the 1920s, as a Mexican writer. Little is known about his early life. According to his Mexican stepdaughter, the "B." stands not for Bruno as some biographers have asserted, but for "Plan B." Mexico City's Museo de Arte Moderno recently closed its B. Traven show which featured clips from the movie "The Treasure of the Sierra Madre" directed by John Huston and starring Humphrey Bogart, as well as clips from several other major movies inspired by Traven's novels, and displays of his papers, photographs, guns, and typewriters. 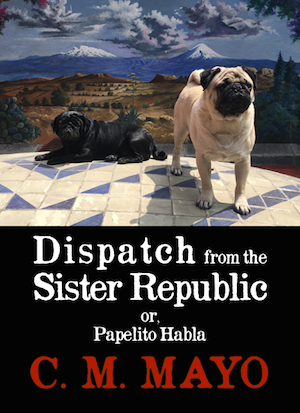 The novel based on the true story of his great aunt, the folk saint and mediumnistic healer Teresita Urrea, la Santa de Cabora (Cabora is in Chihuahua). Adventure writing at its finest. New translation by Alfred MacAdam. The famous novel by the famous author. Muy macho. Dark. Bitter. Ayyy a real jaw-cruncher. The best introduction to Mexico's most famous and uniquely flamboyant artist of the 20th century. A spellbinding memoir by a noted British writer. Mexican filmmaker Claudio Isaac's very personal and poetic recollection of his friendship with his mentor, the Spanish surrealist Luis Buñuel, a major influence on Mexican (and world) cinema, who died in Mexico City in 1983. I do not have the original Spanish for a comparison, but the English is so vivid and smoothly elegant, I am sure that Brian T. Scoular's must be a superb translation. 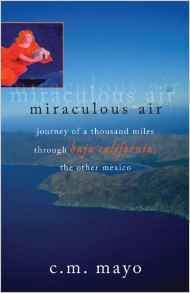 LA Times: "A luminous exploration of Baja California, from its southern tip at Los Cabos to its 'lost city' of Tijuana.... a work of nonfiction that elides into modern myth." 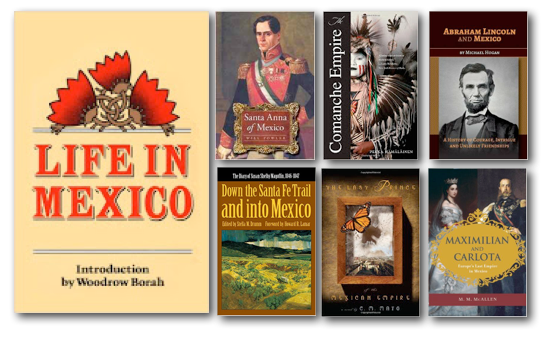 > More recommended reading on Baja California, including titles by Bruce Berger, Harry Crosby, and Graham Mackintosh. 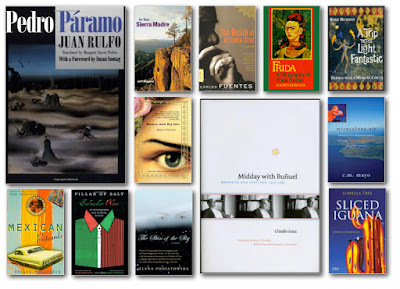 A portrait of Mexico in the work of 24 contemporary Mexican writers, many translated for the first time. 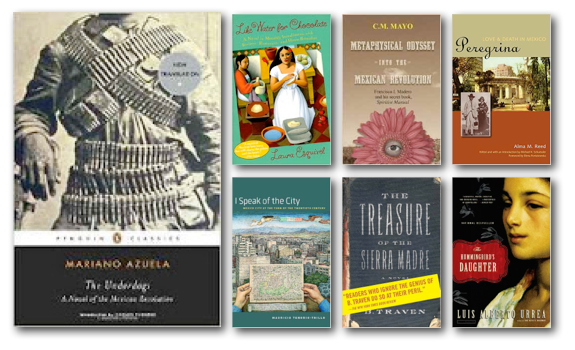 Among them: Agustín Cadena, Rosario Castellanos, Fernando Del Paso, Ricardo Elizondo Elizondo, Laura Esquivel, Carlos Fuentes, Mónica Lavín, Angeles Mastretta, Carlos Monsiváis, Juan Villoro. > Visit this book's website for excerpts, podcasts, and more. > NPR interview about this book. Introduced by Carlos Monsiváis; Translated by Marguerite Feitlowitz. The memoir of a major and controversial figure in 20th century Mexican letters. Never a dull moment with Sr. Novo. Poniatowska, Elena. The Skin of the Sky. Poniatowska is one of Mexico's most respected journalists and literary writers. Her better-known works include Massacre in Mexico, and Here's to You, Jesusa. For a book club seeking a fresh and unexpected look at Mexico, however, I would recommend first reading The Skin of the Sky. The surrealist novel of the 1950s now translated by Margaret Sayers Peden. > Listen in to my interview with Michael K. Schuessler. Sullivan, Rosemary, Villa Air-Bel: World War II, Escape, and a House in Marseilles. You might not guess it from the title, but Villa Air-Bel is essential reading for understanding modern art in post-WW-II Mexico. My article about the author and this book, "A Traveler in Mexico: A Rendezvous with Writer Rosemary Sullivan," appeared in Inside Mexico, March 2009. One of my favorites for armchair traveling. Crisp, observant, original. > Isabella Tree offers this guest-blog post on her five favorite books on Mexico. A unique guidebook by an English geographer that is chock full of surprises, plus illustrations and many maps. Yes, I am recommending a guidebook for a book club; it is that special. A passionate look at Mexico's Isthmus of Tehuantepec, a little known and yet culturally, economically, historically, and politically vital part of Mexico. Winner of the Grub Street National Book Prize for Nonfiction. Ferociously personal reporting on both sides of the border. A long-time resident of Mexico City and a prolific writer in both English and Spanish, Lida is one of the most knowledgable Americans writing about Mexico. Dreamland should be read—and more than once— by anyone who would make or attempt to influence policy on the drug trade, whether legal or illegal. Moreover, Dreamland should be read by every citizen who would visit a doctor. > Read my review of this book in Literal Magazine. > See also his beyond-outstanding collections of essays on Mexico: True Tales from Another Mexico and Antonio's Gun and Delfino's Dream. Translated from Zapotec, a major indigenous language in Mexico, by Clare Sullivan. You can't go wrong with Luis Alberto Urrea, pick any one or more of his titles. PLUS! PLUS! PLUS! PLUS! PLUS! Translated by Samantha Schnee. 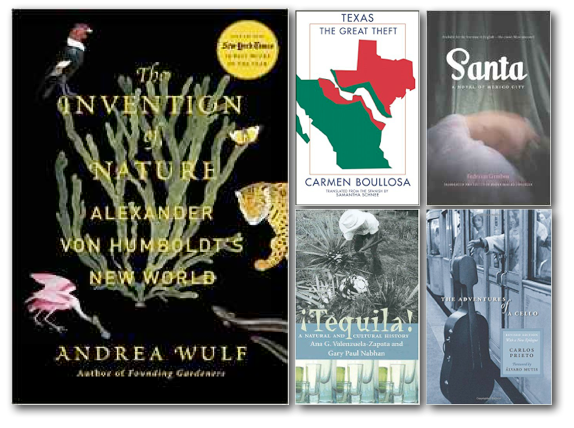 Why I would vote to read this book: Boullosa is one of Mexico's best-known literary writers; Schnee is a respected literary translator, and the flip-side of the story of Texas is one Americans rarely if ever hear. Translated and edited by John Charles Chasteen. Why I would vote to read this book: It was a racy best-seller of its day in Mexico and its author, Federico Gamboa, was a noted literary figure and politician. It is a Stradivarius and Prieto is one of the best cellists in the world. From the catalog: "To make the story of his cello complete, Mr. Prieto also provides a brief history of violin making and a succinct review of cello music from Stradivari to the present. He highlights the work of composers from Latin America, Spain, and Portugal, for whose music he has long been an advocate and principal performer." From the catalog: "Ana G. Valenzuela-Zapata, the leading agronomist in Mexico's tequila industry, and Gary Paul Nabhan, one of America's most respected ethnobotanists, plumb the myth of tequila as they introduce the natural history, economics, and cultural significance of the plants cultivated for its production." German naturalist Alexander von Humboldt wrote about his research and explorations in Mexico; it would be difficult to overestimate his influence on how Mexican scientists saw their own country, and how Europeans saw Mexico in the 19th century. Friends have raved about Wulf's book, so it would get my vote for a read.